The Hanging Display with Bin makes the perfect "Silent Salesman" allowing the retailer to hang and store the the Home and Garden collection. 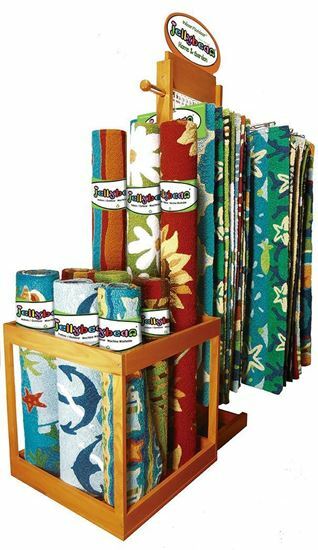 Bin Holds 34" x 54" and 58" x 78" Area Rugs reverse rolled rugs. Comes with full color Jellybean Home & Garden signage, and is FREE with qualifying orders of $2000!